The nights are drawing in and it's time for our (now) annual winter event ... hot soup, tea and cake and this year you can make some VERY stylish wrapping paper with Lydia! Do come along. 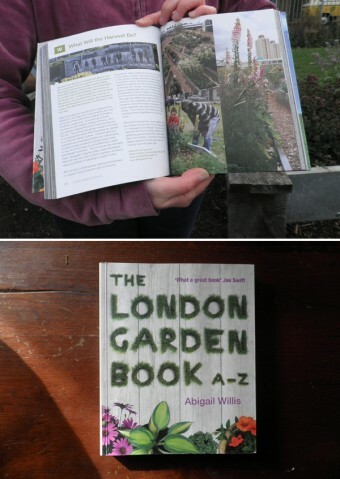 Ages ago we were approached by the nice team from Metro Publications about a new book of London Gardens ... I'm gald to report that the book is now out and we are the 'W' feature! 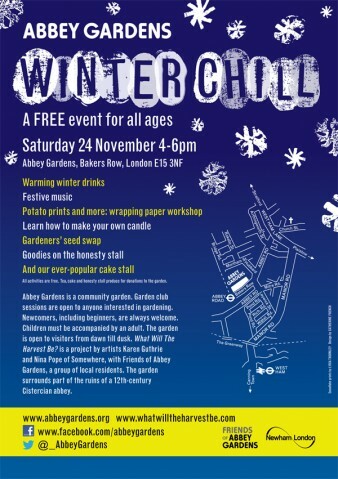 I had a great time at the launch event (at the Garden Museum) meeting other gardeners from the East End of London.